Assisting indidivuals, families, and communities; working together for a brighter future in the Paraguayan Chaco. ASEC (ASSOCIACION ESPERANZA CHAQUENA) is committed to lending a helping hand to individuals and communities, helping them to put dignity and self-worth back into their lives. We are committed to being transparent and honest and to have a servant heart as the Lord has commanded us. Assist in the educational aspect of poor communities. Promote self-sustainability by encouraging small business, etc. Be involved in leadership training for pastors, teachers, and community leaders. 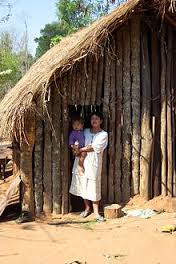 Promote activities of the poorest of the poor in the Paraguayan Chaco to the international community. Thank you for your partnership during these days of blessing and opportunities! It has become everything to all men."